Microphones immediately swarmed them and a barrage of camera flashes went off, while a black sea made entirely of reporters formed beneath them. The camera flashes continued endlessly, and came from as far out as she could see. As Ruan Yesheng sat there, she realized that she couldn’t remember how long it’d been since she’d been desired like this—chased by both fans and reporters alike. However, it was Xi Mo whom they were chasing after. Even though she’d also been the subject of so many people’s love beneath the glimmering light, she was nothing but a substitute now. Nevertheless, she should still have the professionalism of a substitute actor. Even though wasn’t by Xi Mo’s side, Ruan Yesheng understood Xi Mo very well. As such, she was able to accurately portray her personality in front of the camera. Whenever Xi Mo had appeared before the media in the past, she never appeared cold, arrogant, or unreasonable like she did in private. Instead, she maintained a reasonably elegant, noble, dignified, and gentle image, and occasionally a reasonably cute image. In the entertainment circle, having an overly condescending attitude would show that one had a negative EQ, in-turn causing their popularity to plummet. There were some celebrities who had climbed the ranks only to get carried away, becoming arrogant and sarcastic, even choosing to speak rudely and offensively to both reporters and their fans. When the news of them doing so came out, the image that they’d built up after so long had been instantly destroyed. Their fans had cried and shouted at them one after another, turning on them and becoming haters. Xi Mo had always added a tinge of coldness to her elegant and noble image. Yet at the same time, she spoke and behaved with a reasonable amount of affection, thus seizing the hearts of many fans. This was her specialty, but was a hard one to maintain. If she was too cold, she’d scare people away as if she was an unapproachable flower. Many haters would also reproach her for trying to act superior. However, if she was too amiable, she would stray too far from her original image. Xi Mo had entered the scene atop the tightrope between these two sides excellently, and had perfectly maintained her balance to this point. …And she continued onwards very diligently today. Xi Mo’s face remained expressionless as she watched the live stream, unwilling to miss even a second. As she watched, she thought to herself, At least she knows how to properly imitate my speech and didn’t embarrass me. Ruan Yesheng replied, “I’d like to head in a new direction and try something new. After this television drama, there are a few movies coming up. I will work hard so that I can be proud of myself; I hope that everyone will enjoy it. The news that Xi Mo would be acting in a television drama had been well hidden until this point, and only the staff knew. Now that the news had been publicized, the web instantly exploded. Most of the fans were pleasantly surprised. They expressed that they’d watch it no matter what, and started trying to guess what type of drama it would be. From genres such as historical to modern to spy to war, they made several guesses. Such stereotypes were normal in the entertainment world. It was as if acting in a movie was something incomparably better than acting in a television drama. Once the fans and the haters began to argue in the comments, old wounds were opened. They argued from left to right, even bringing their ancestors into the fight. Finally, they even began to attack each other personally. Xi Mo continued to watch the live stream for a moment, but stopped to briefly comb through the comments before returning to the live stream. As Xi Mo continued to watch, she noticed something odd about Ruan Yesheng on the screen. Ignoring the fact that Ruan Yesheng was in her body, her every move was dazzling. It was like she was a diamond that was being continuously polished by the numerous flashing lights around her. All of her expressions, smiles, and moves were similar to Xi Mo’s previous habits. What was I like when I was in front of the media? Ruan Yesheng was currently acting perfectly like her without any slip-ups. It was as if Ruan Yesheng had studied all of her interviews very carefully, and watched her closely from behind for a very long time. Else, it wouldn’t have been possible for Ruan Yesheng to imitate her so well. Xi Mo was scared by this thought. However, this thought only lasted for a short while. Ruan Yesheng’s portion of the conference came to a temporary end, and it was now Lu Qingming answering questions in place of Ruan Yesheng. Meanwhile, Ruan Yesheng sat to the side to rest. The camera chased after Ruan Yesheng and appeared before her. Perhaps because she was more relaxed due to being free from the reporters’ question, Ruan Yesheng’s original temperament had slipped out at this moment. Brought upon by Ruan Yesheng’s coquettish nature, Xi Mo’s eyes looked like rippling water as they wandered. As she rested, she opened a bottle of water and took a drink. Her wet and thin lips moved lightly while her slender neck tilted. Meanwhile, her elegant throat moved slightly as she drank the water. There was a point where she was drinking the water where her eyes quietly glanced to the side. They seemed gentle and charming, yet a little bored, as if they didn’t know where to look. Xi Mo was speechless when she saw this scene. Even when she was acting, Xi Mo had never acted so coquettishly in her entire life. This scene might have been too enchanting, as there were people online who actually clipped this scene and made it into a GIF and posted it on Weibo. This GIF of Ruan Yesheng drinking water proceeded to go viral on the internet. The framing was adjusted, and various filters were used. As Xi Mo’s foundation was already extremely good in the first place, with the addition of slow motion and some other adjustments, her beauty shot past the horizon. What was more important was the action in the GIF, as well as her eyes, which seemed to be saying something more. A lot of fans were screaming that were going to go crazy. As Xi Mo continued to scroll down Weibo, she was close to choking. In an instant, the chastity that she’d been protecting for years had been shattered into pieces by Ruan Yesheng. You can cover up your coquettish actions, but you can’t cover up your coquettish nature. On Xi Mo’s phone screen, the account name that was displayed was her Weibo’s nickname: Xi Mo memeda. Don’t you know that it’s not morally right to peep at other’s phones! Where has your Confucian Morals and Five Stresses and Four Points of Beauty gone! I’m a fan alright! 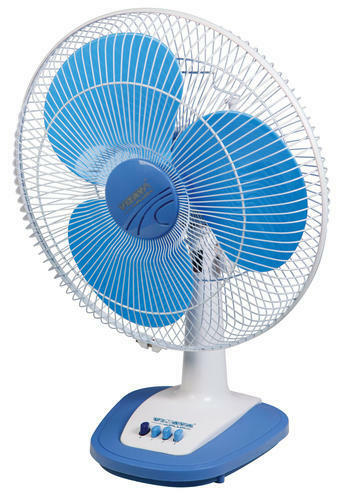 Every minute, I’m suffocating Ruan Yesheng with my fan blades! Xi Mo was left speechless. I bet there’s Arsenic Trioxide in that soup! Memeda (么么哒) – is an internet slang version of “Love you!” “Kiss and huggies” and cute things like that. Tearing ghost – This is a reference to a Chinese show called “Kang Ri Qi Xia”. In the show there was a scene where the people tore a ghost in two using their hands. People found this scene to be too exaggerated and were thus unhappy with it. Subsequently, people used the phrase ‘tearing ghost’ to describe shows with exaggerated scenes. Yessssssss. Finally… The only Chinese novel I really want updates for!